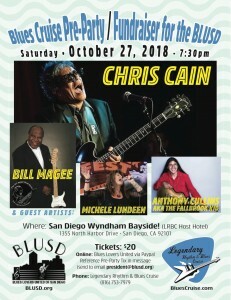 Blues Lovers United of San Diego » LRBC Pre-Party Benefitting BLUSD on 10/27 was a big success! Blog > News > LRBC Pre-Party Benefitting BLUSD on 10/27 was a big success! LRBC Pre-Party Benefitting BLUSD on 10/27 was a big success! The joint was jumpin’ with 600 happy blues lovers, both cruisers and non-cruisers! 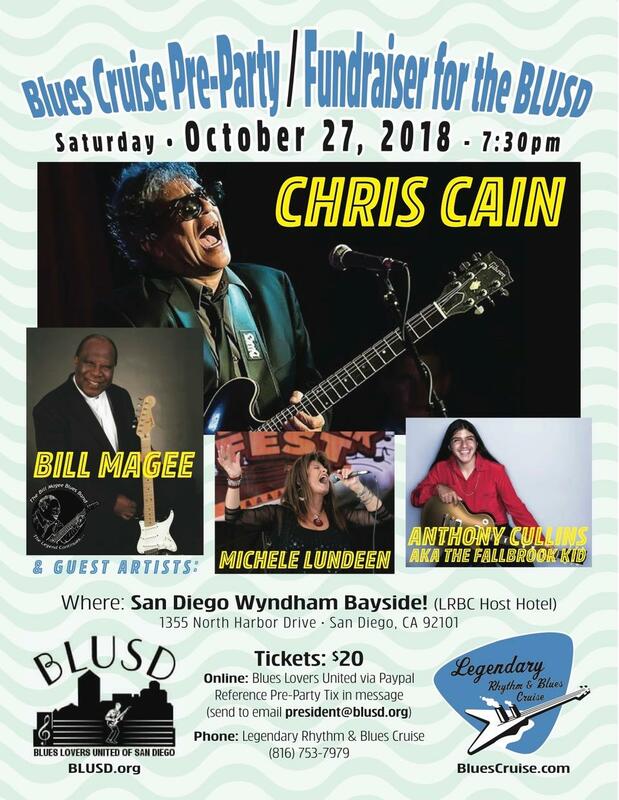 Thanks to Chris Cain, Bill Magee, Michele Lundeen and Anthony Cullins for burning the house down, to Michael Kinsman for putting it all together, and to the Legendary Rhythm and Blues Cruise staff for donating ticket proceeds to BLUSD! Looking forward to next year!